In order to delay hair graying, vitamin A, the B complex vitamins along with copper, iron, silica and zinc should be supplemented on a daily basis. To make sure gray hair will be an issue you will experience as late as possible, stay away from chemical hair products (shampoo included), hair dyes, processed foods, coffee, smoking and chronic stress and complement your diet with organic fruits, vegetables and herbs. In addition to the internal help, try these natural home-made masks to help your hair keep its natural color for as long as possible. 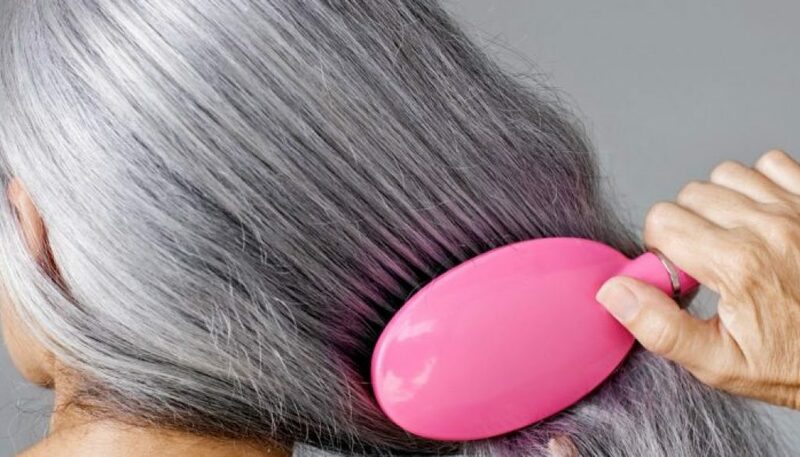 This powerful remedy has been used for centuries against gray hair. Rich in catalase enzyme, it can reverse hair graying by neutralizing hydrogen peroxide. A daily rub scalp using this mix can help you keep your natural color for longer, despite the unpleasant smell. Combined with coconut or almond oil, you can massage it onto your scalp every night, for the best of results. Considered to be a hair tonic, this boiled home remedy promotes darker pigmentation of hair. Combined with coconut oil, the mix is even more potent. Leave on over night, 4 to 5 times a week. Castor oil, lemon juice and henna. Apply the mixture and leave it on for at least an hour before bath time. You can use this remedy on a daily basis. Apply to hair and scalp and shampoo off after drying. Repeat every week and the results will be visible. Nutrient rich, amaranth can be able to restore the hair’s natural color. Use the juice from fresh amaranth leaves and gently massage in for 30 minutes. Wash off and repeat three times a week. Olive oil has been used for centuries to delay hair graying. Additionally,it will they make your hair look shiny, healthy and will accelerate growth. Simply massage the oil into the scalp and leave on for one hour. Wash out with your regular shampoo. For best results, repeat daily.